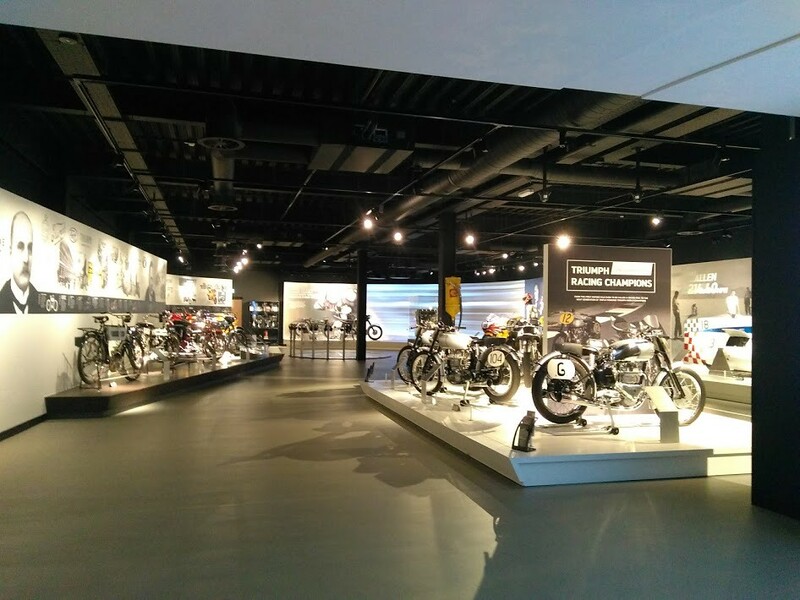 The rebirth of Triumph Motorcycles since 1990 has been a truly amazing success story. They have grown to a point now where they are a global brand once more and have sales and manufacturing sites all over the world. 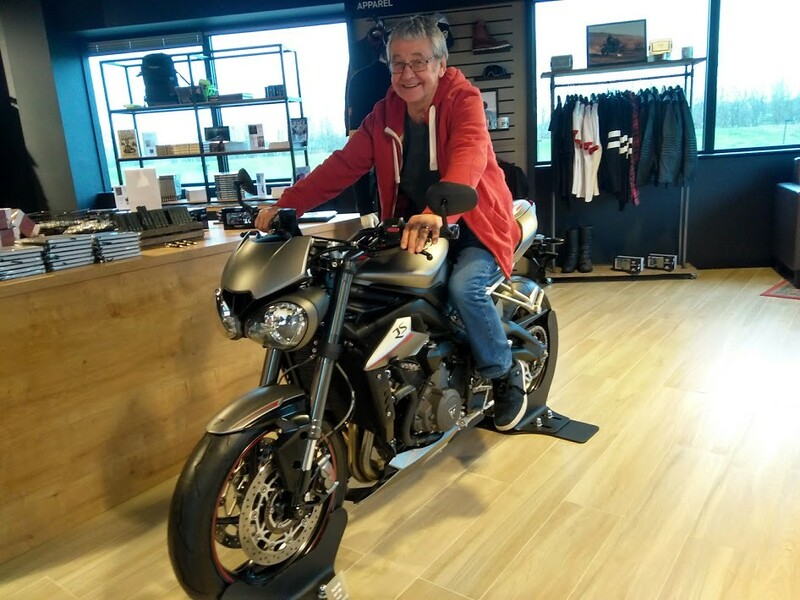 The bikes are very well regarded by both the motorcycle press and owners alike and as an engineer I have always been interested in their progress since 1990. 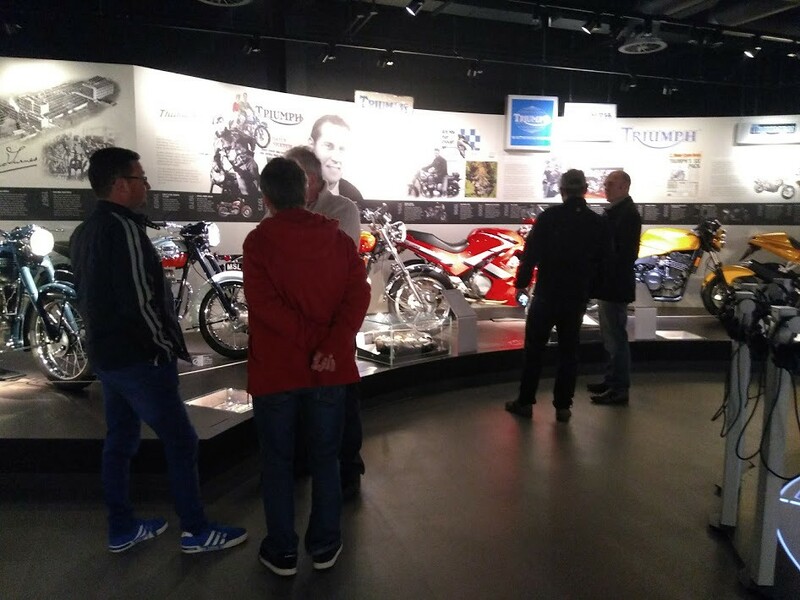 Recently Triumph have opened up their Hinckley factory for pre-arranged tours and opened an impressive visitor centre and museum that greets you upon arrival at the modern and immaculately presented site. Those of you harbouring images of a more, let’s say ‘traditional’ facility, all ancient machinery and men in brown coats puffing away on a woodbine...are going to be sorely disappointed! 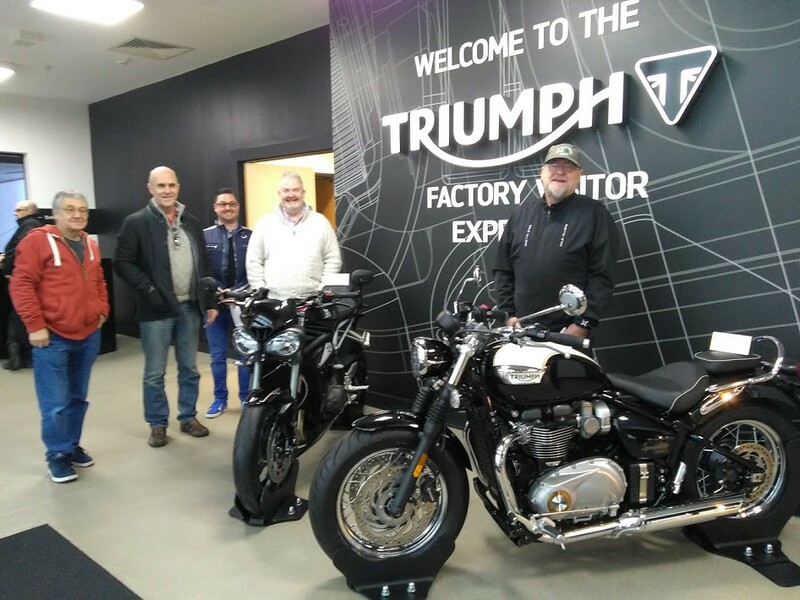 Our small party of six, included a quartet of current or former Triumph owners and a couple of ‘non-believers’ myself included. I have always admired the order Meriden bikes for their ice cool appearance and image and the new generation bikes for their brutish good looks and robust engineering but have never got around to actually owing one somehow! 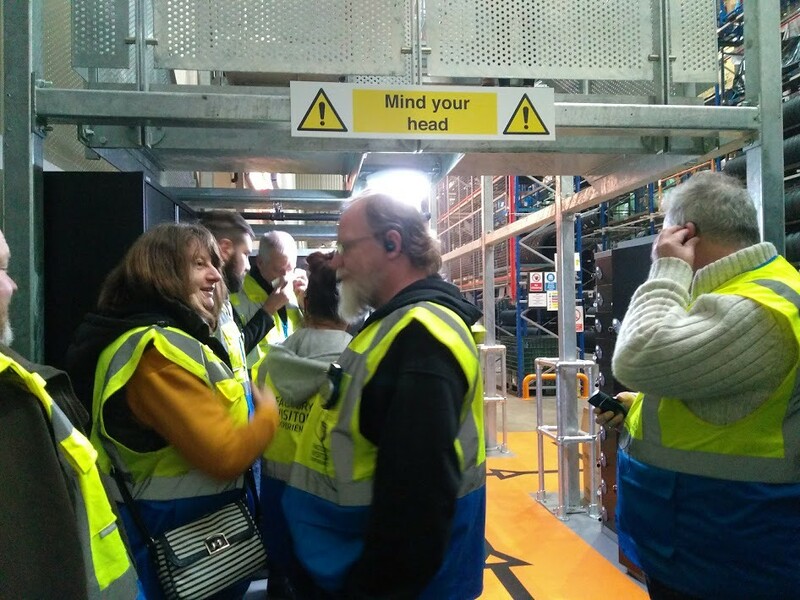 The Visitor centre is free to enter (I think), but the factory tour is extra and needs to be booked in advance, but at only £18 for a guided tour it represents excellent value. 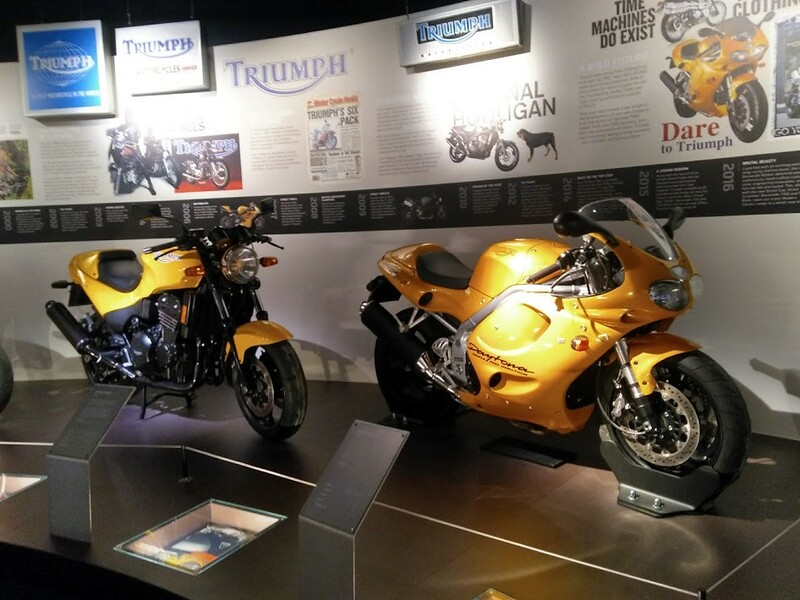 The bikes on display in the visitor centre range right across Triumph’s history and all are immaculately presented. I was slightly surprised that there was not more emphasis on the original ‘Hinckley’ relaunch modular models of 1990, only the 1000 Daytona being represented and a couple of others leading up to the modern range. 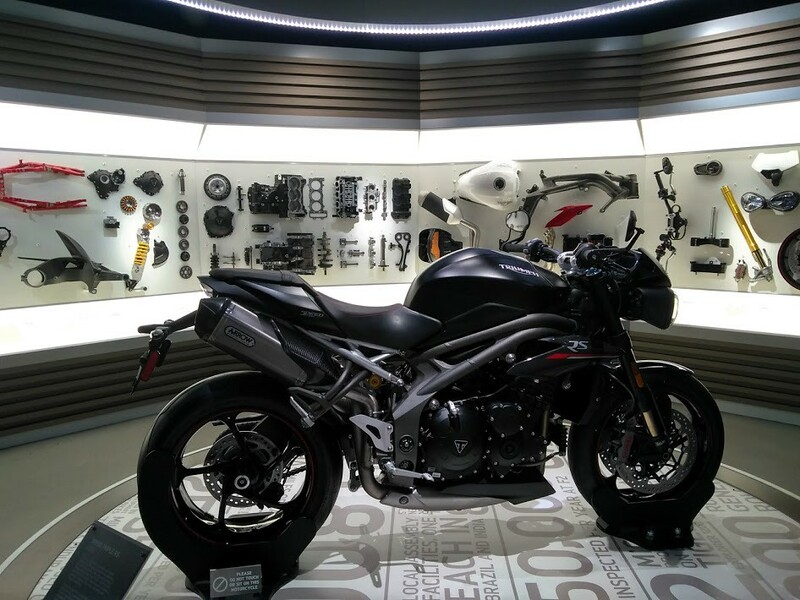 When you consider some of the fabulous models made, such as the Speed Triple, 675 Daytona, and mighty 2.3 Rocket III. 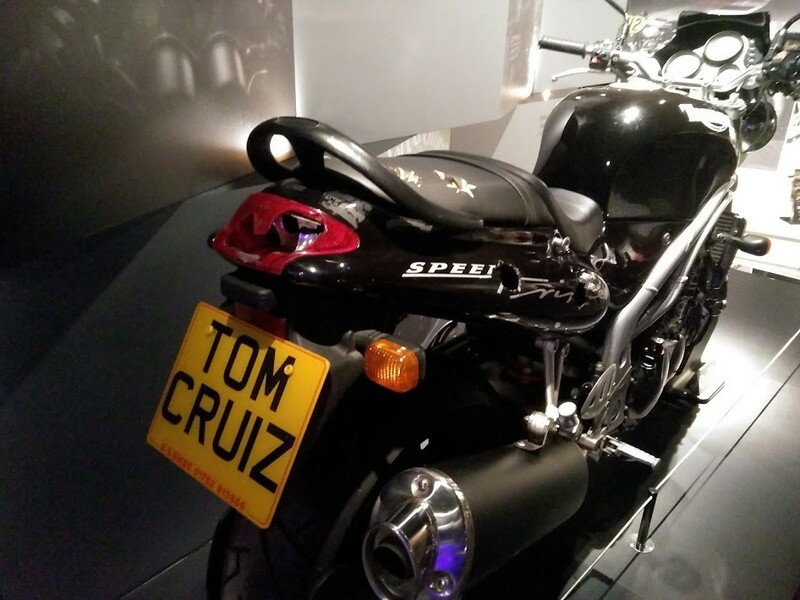 However the display split over two levels did have some of bikes ridden by ‘A-list’ celebrities such as Brad Pitt, Tom Cruise and David Beckham. 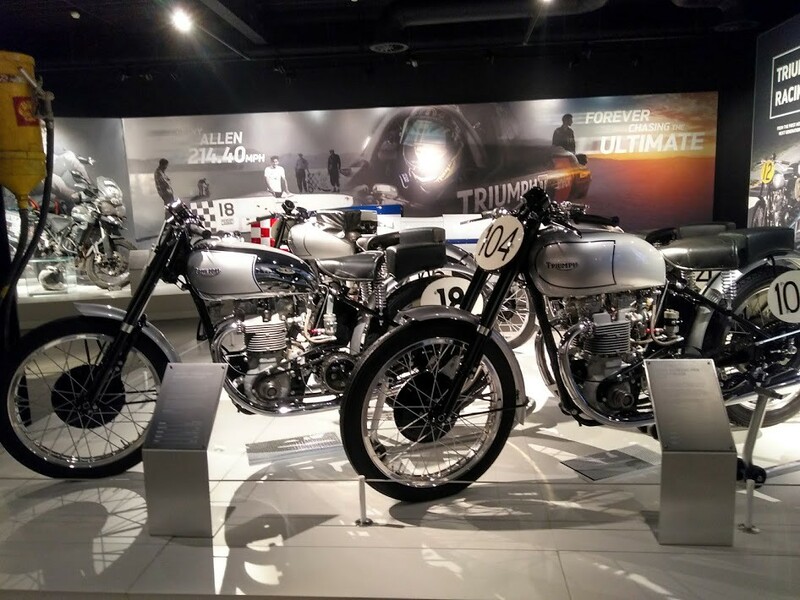 Then of course the connections with such icons as Steve McQueen (the coolest man to ever wonder the face of the earth) and the incomparable Marlon Brando, the original ‘Wild One’. 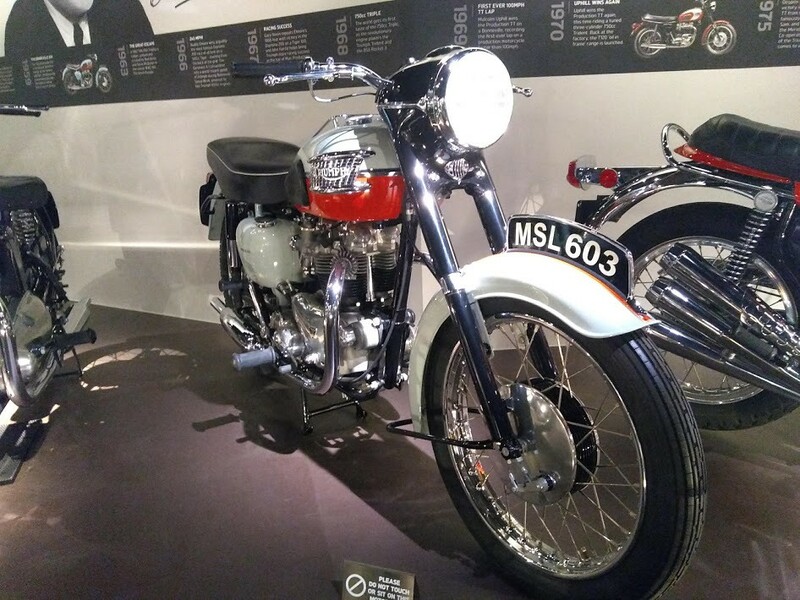 The display of test bikes and cut away models was interesting as was the breakdown of Triumphs truly global manufacturing footprint; they now have plants in India, Brazil and most notably Thailand in addition to their UK base. 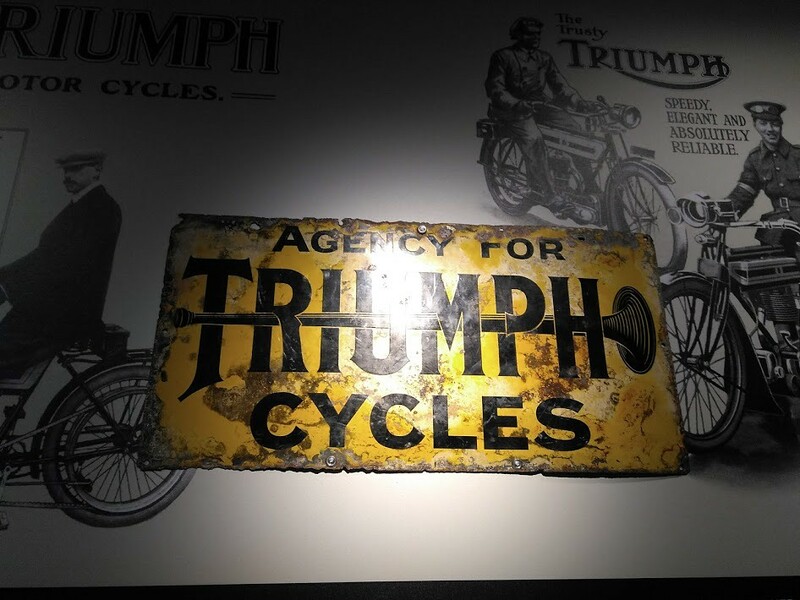 Triumph manufacture far more of their bikes themselves when compared with certain Italian brands for example….I took a bit of ribbing over this. Typically around 37% of a Triumph is sourced in house according to our guide, although it was not clear how this was measured. The tour itself was led by an amiable and knowledgeable chap called Simon who could speak to us via transmitter into earpieces we were issued with. The factory itself is immaculate and looks extremely well run. 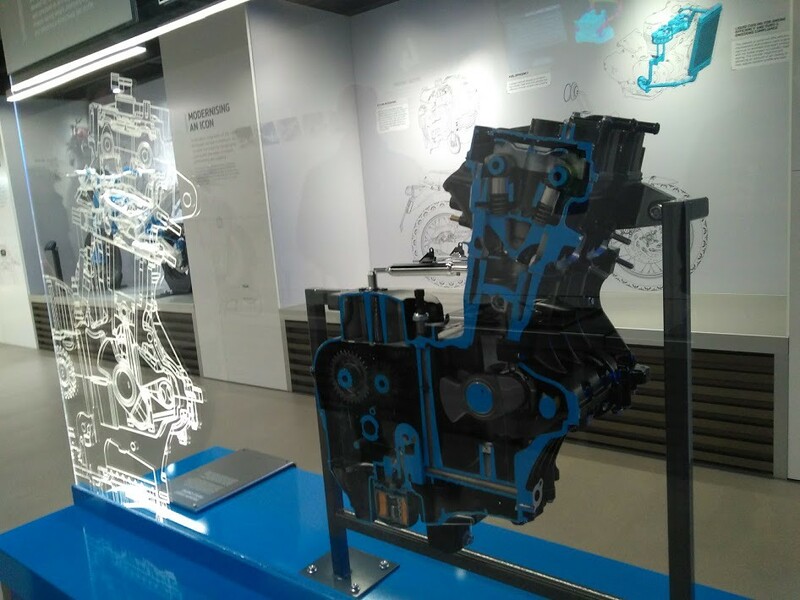 We saw everything from where parts come in, through to the machining of key engine parts such as crankshafts and camshafts, through computerised inspection of parts all the way to final assembly of 765, 800, 1050 and 1200 models. 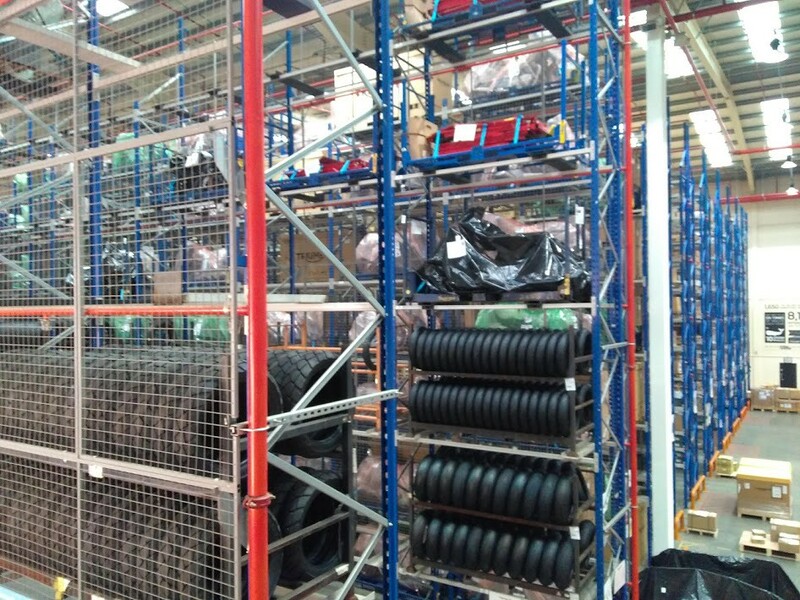 We also saw where the bikes are stored prior to dispatch around the world in towering storage racks….it was like all our dream garages! It made an interesting contrast to the Morgan car factory I also toured a few years ago. That is firmly rooted in the past. Triumph is bang up to date and has a keen eye on the future. 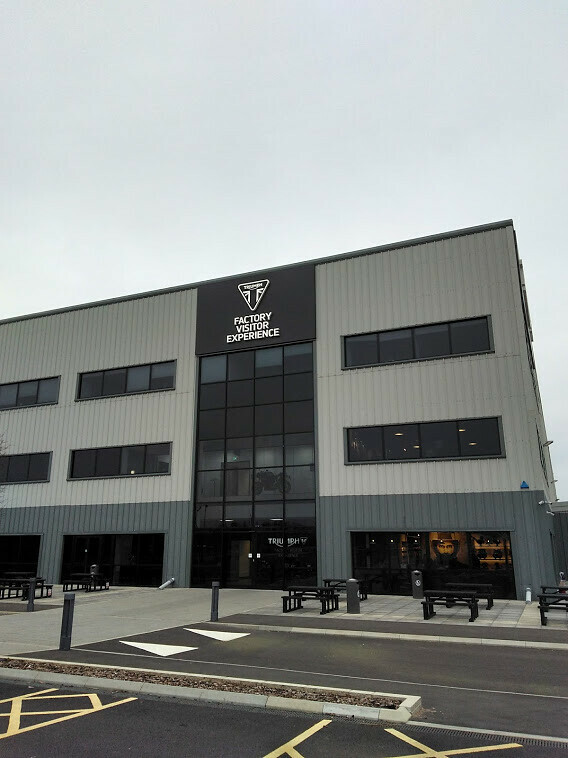 We finished off our enjoyable tour with a cuppa in the excellent on site café before having a look about the factory shop where a bewildering array of ‘Triumph’ branded goods were on sale. I passed on the £30 T shirt, but the quality of all the items looked good. A highly enjoyable day was rounded nicely off in a nearby pub, supping real ale like proper ‘Brit-bikers’. So there you have it a fascinating insight into the modern Triumph and I heartily recommend you go and take a look when you can! Cheers Pete, it was an really interesting place to visit even if, like me and a few others in our group, are used to modern manufacturing sites. I was really impressed by the logical layout, and superb housekeeping.